Confused about which earphones to buy within the range of Rs. 1000? Well lucky for you, we have a list of Top ten Earphones under 1000, options that come within this range. Everyone has a different feature that they are looking for, the first and the most important being whether they are likely to use the Earphone with a Smartphone or a Mobile, and thus, whether a Microphone would be essential. If you are likely to use it with an Audio player, iPoD or DAP, then this can be avoided. 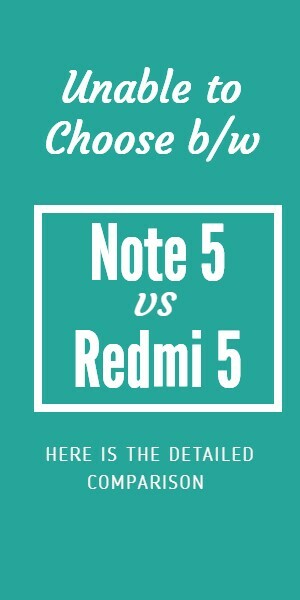 Another important feature would be whether you are looking for wired or wireless earphones. these colourful Skullcandy Ink’d earbuds will definitely impress you with their superior performance. These Skullcandy in-ear headphones deliver powerful bass, accurate highs and natural-sounding vocals without adulterating the sound clarity. Connect these headphones to your music player, tablet, smartphone or laptop to listen to high-quality music while on the go. They make a great choice for those who love listening to music with added depth and enhanced bass. The Creative EP-660 in-ear headphones feature a unique design that helps isolate ambient noises by locking in the sound. 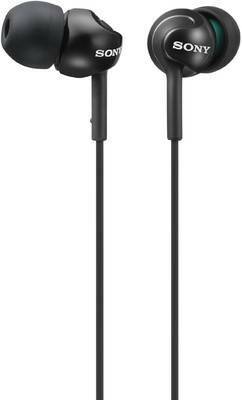 These stylish looking in-ear headphones offer superior acoustics and noise isolation capabilities. With a frequency response range of 6Hz-23 KHz, this excellent earphone produces crystal clear sound adding to why it is a must buy at this rate. It also offers 16 ohms impedance for an incredible audio quality. If that’s not enough, it is available in five different colours. In order to provide you a perfect fit, the Creative EP-660 earphones are provided with soft silicone ear buds in the small, medium and large sizes that allow for a personalized and comfortable fit. Along with their attractive looks, these earphones provide you an enjoyable music listening experience. 9th in the list of Top ten Earphones under 1000. 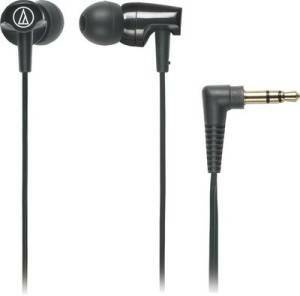 Clear in-ear headphones offer the essence of Audio-Technica clarity & comfort, for a remarkably rich listening experience. The sound is crystal clear & clean, with a great sense of depth and detail. Audio-Technica’s ear-fit design provides outstanding sound isolation to guard against outside noise interference. The included travel-friendly collapsible cord wrap makes it easy to carry the earphones without tangling the cord. It is offered in eight vibrant colours: black, white, lime green, blue, orange, red, purple and pink. 8th in the list of Top ten Earphones under 1000. Designed to deliver surprising sound quality to satisfy the most selective listeners, the SoundMagic PL11 earphones are ideal for every music lover. If you are the one who prefers the precise and spacious quality of in-ear headphones that combine long-wearing comfort and involving sound, this pair is explicitly designed for you. 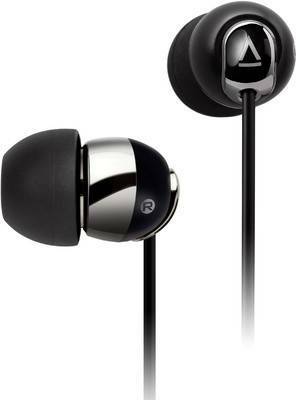 These technologically advanced earphones have a glossy, metallic finish body that lends a classy look to the wearer. They have a flexible cable designed especially for brilliant tangle-free comfort to keep you away from the annoyance of detangling the wire. 8th in the list of Top ten Earphones under 1000. In order to enhance comfort during usage, the earphones come with hybrid silicone rubber ear buds. This headset is a complete package, blending functional technology and stylish looks with its sleek black finish. These small and compact in-ear earphones have a frequency range of 5 to 24,000Hz, which gives a high clarity sound across a wide range and pitch. With snug fit and comfortable ear buds, these Sony in-ear earphones keep you at ease while enabling you to enjoy a high-quality performance. 6th in the list of Top ten Earphones under 1000. Creative is known for its best quality audio equipments like speakers. Featuring a sleek white colour scheme, Creative’s EP-630 In-Ear Headphones pack high-end, noise-isolating performance into a compact design. Built to deliver rich, full-bodied music and reduce distracting background noise, these stylish earphones come with a range of silicon ear tips to help you find the best fit. 5th in the list of Top ten Earphones under 1000. These powerful earphones can deliver a bass stereo sound, which can offer you an incomparable music experience. 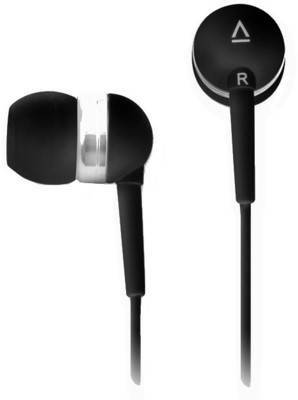 The ergonomic design promises wearing comfort for your ears and can give you a hassle free music listening time. The symmetrical cable can offer you more flexibility when it comes to moving around while listening to music and the cable slider can help you manage the extra cable with ease. The headphone is perfect for outdoor use as it blocks less noise and can keep you aware of your surroundings. The headphone comes with ear buds for a more comfortable fit and is compatible with MP3 players, iPods, iPhones, and other portable media players as well. 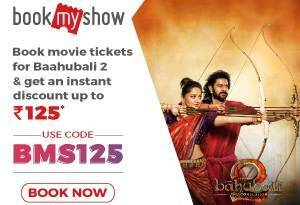 Coming with a 2 year warranty, the product can assure you about its durable performance. Being affordable enough, this Sennheiser Ear bud Headphone is for those music lovers who want to catch every beat of music amidst the busy schedules and need an option to fit in their budget. 4th in the list of Top ten Earphones under 1000. If you have previously used sound magic Es 18 and don’t want to go with it again or for any other reason, this one is your best bet. It has not got many reviews since Cowon is relatively new than Sound Magic but the reviews which it got are all praising it. It boasts of fantastic sound quality and amazing fit. 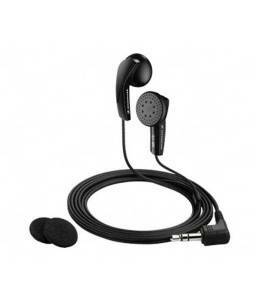 The dynamic canal type driver unit measures 10 mm and ensures that you get clear and crisp audio. Ergonomically designed, the earphone has a snug and comfortable in-the-ear fit. 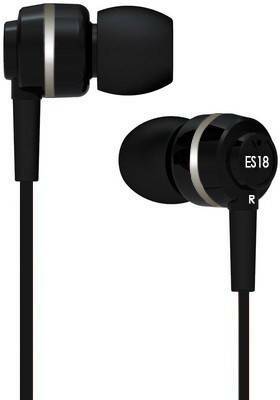 Available in black, it has a stylish yet elegant earpiece design. 3rd in the list of Top ten Earphones under 1000. It makes a bold statement about making great sound affordable. It exhibits excellent accuracy and strong bass performance, delivering a deliciously full bodied listening experience. It is made with a bonded plastic housing, extended flexible strain relief and tangle-free cord terminated with a right angle gold plated 3.5 mm jack. It is available in three exciting colours of red, green and orange and comes with a storage pouch and three pairs of silicone ear tips in small, medium and large sizes. 2nd in the list of Top ten Earphones under 1000. 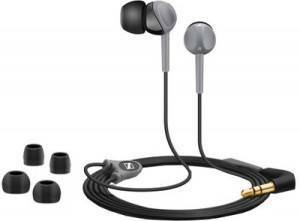 1) Sennheiser CX 180 In-Ear Headphone (Rs.776) : 1st in the list of Top ten Earphones under 1000. 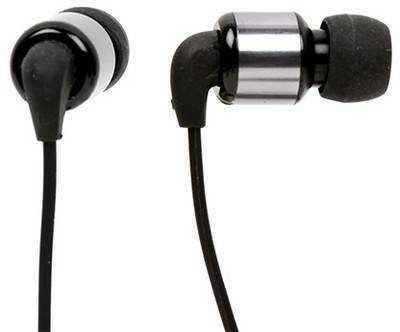 It is currently the most popular IEM on Flipkart, Amazon and Snapdeal. The CX 180 ear-canal earphones feature an innovative finger-contoured housing design which enables for easy adjustment and optimal wearing comfort in the ears. With good attenuation of ambient noise and delivery of a powerful bass-driven sound, the CX 180 is perfect for the trail or the pavement. 1st in the list of Top ten Earphones under 1000. Even though CX180 is the most popular for bass, a lot of people listen to POP, Rock, Metal. They lack in Bass. So, I think, Audio Technika CLR100 stands best then.